I love activities that allow preschoolers to be creative and yet also work those fine motor muscles, such as painting with clothespins and sponges. 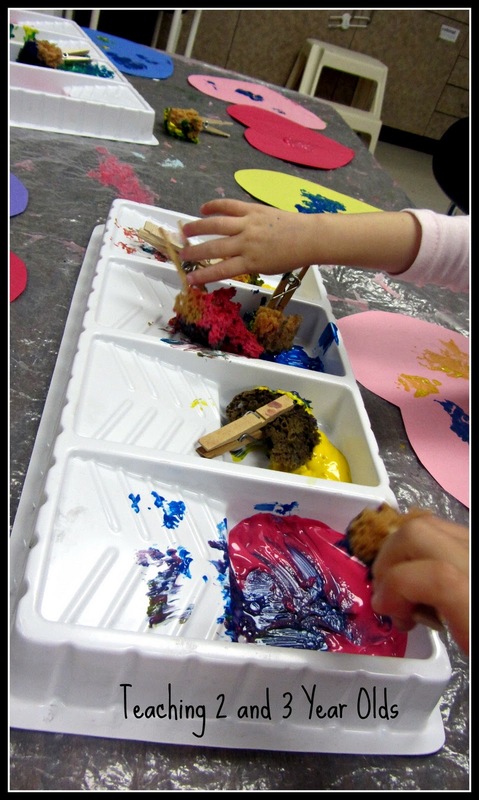 This is an easy activity to set up, only requiring a few items! 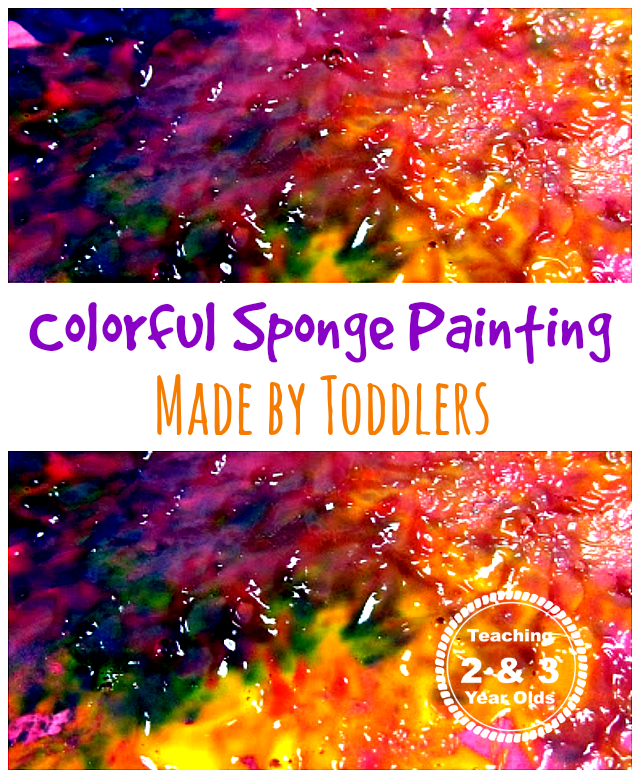 If you follow my blog, you know how I am always looking for ways to work those fine motor muscles. When I saw this activity using clothespins and natural sponges over at Vanessa’s Values, I knew I wanted to try it with my 2’s class. I cut natural sea sponges into smaller pieces and clipped them to clothespins. I set out trays of paint and construction paper. 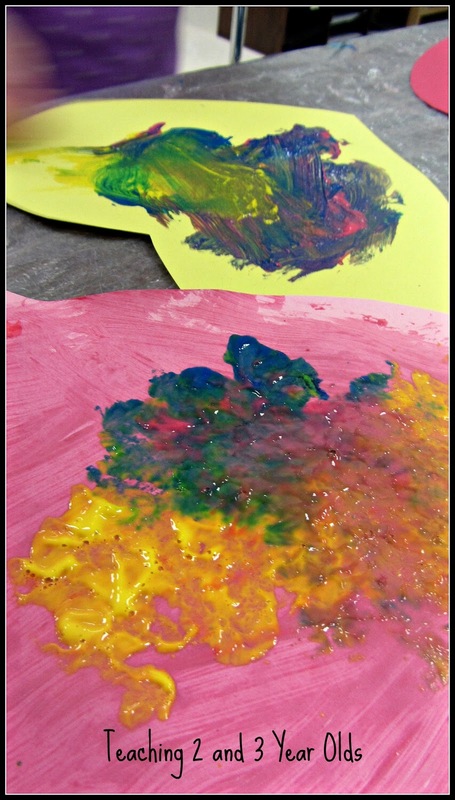 The preschoolers enjoyed dipping the sponges into the paint and then dabbing them onto the paper. 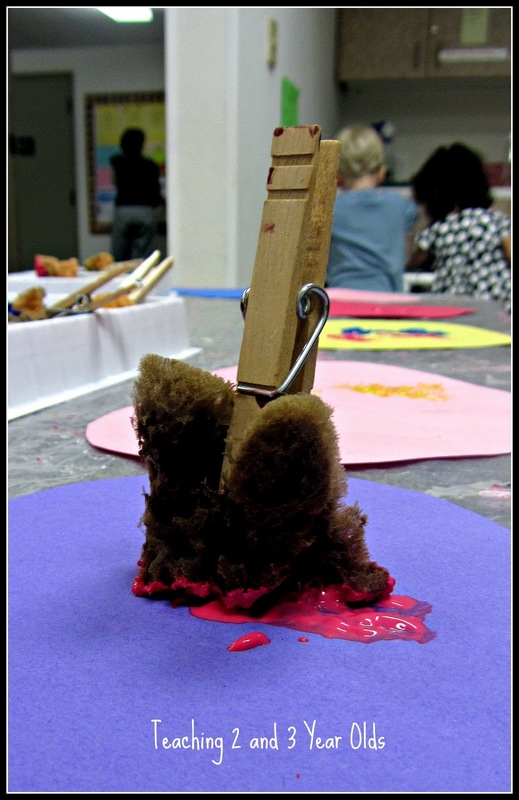 Those that like the feeling of paint removed the clothespins, used the sponge with their hands, and then replaced the clothespins. Over and over again. Another great fine motor activity! I loved how the colors blended! I’ve washed and dried the sponges so they can be used again for another project. 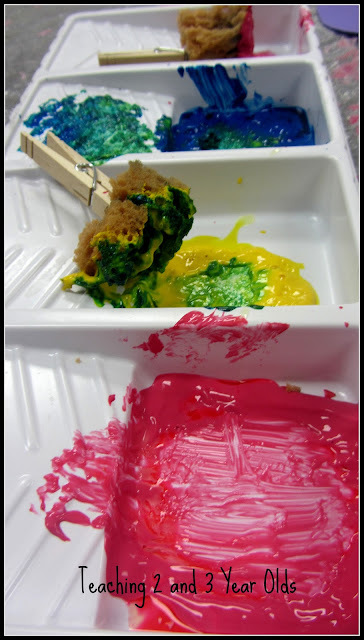 I think I will try this at the easel, too! I love how your project turned out! What really caught my eye though were those really nifty paint trays! 🙂 It was so kind of you to add a link back to my site. Thanks, Vanessa! One of our teachers ordered those trays though Discount School Supply, I believe, years ago and never used them. I love them! They work great for collage materials, too. Thanks for this inspiration – the kids will go crazy for this! What a great idea! We used pom poms and close pins the other day but the pom poms kept falling out which frustrated a few of the kids. A sponge chunk would probably stay in so much better, we will be doing this very soon. Make sure to use natural sea sponges. The teachers next door used regular sponges and they either fell off or got floppy. I had no problems with the sponges we used. They stayed on well and held up and can be used again. What a cute idea! 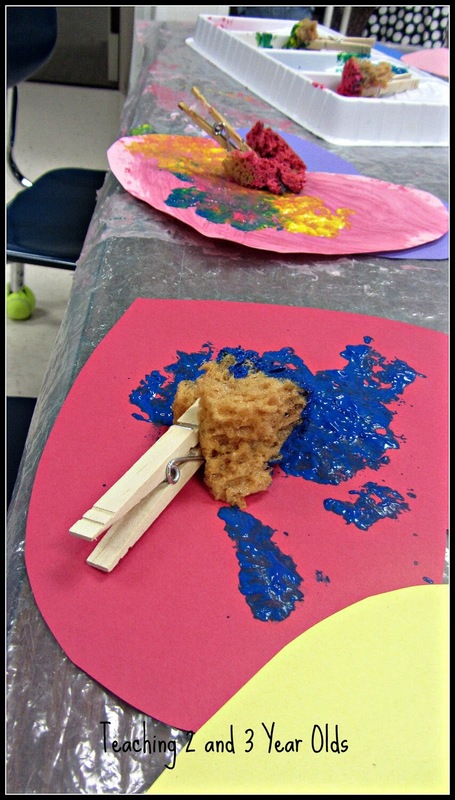 I love that you used a clothespin as a little “handle” for the sponges. Less Mess! Just a quick THANK YOU for linking up last week with Thrifty Thursday, and I hope to see you again this week! 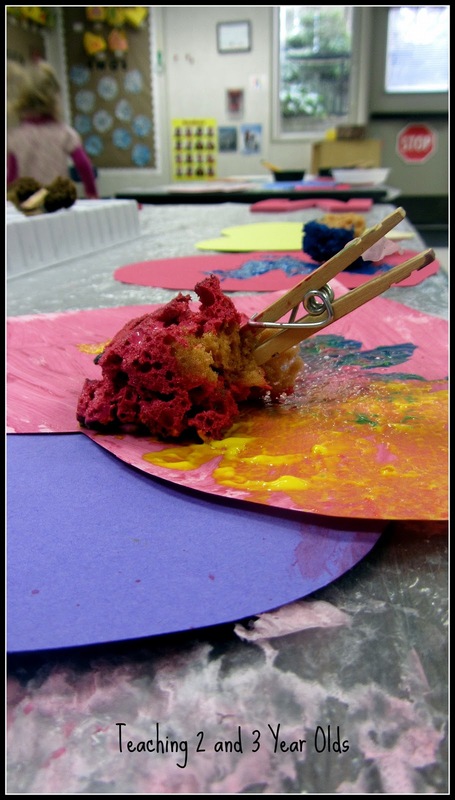 I saw this recently and thought it looked so fun…where does one buy the sponges? ?